Hops on Lots Pittsburgh (HOLP) planted a seed, and now we are growing. 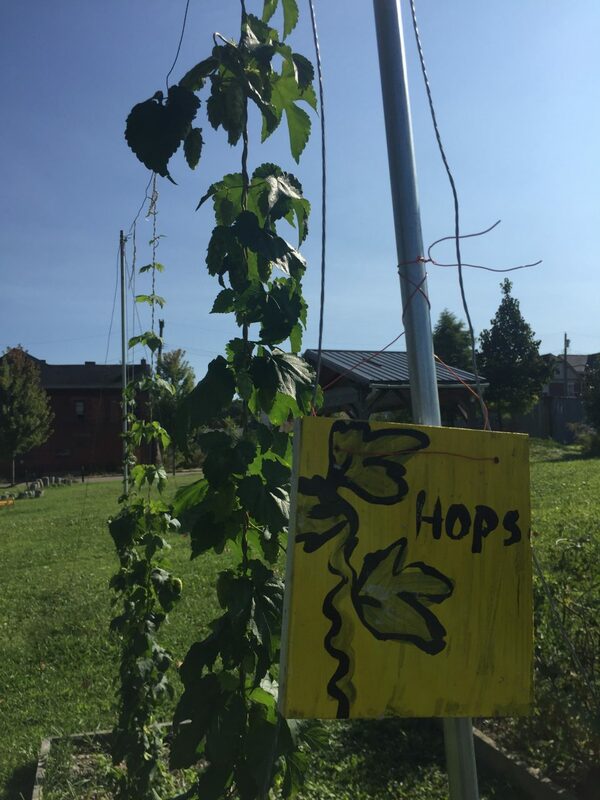 HOLP is a community project of the Pittsburgh Hop Company that unites communities and local breweries through urban agriculture. Drive past the retaining wall on Stanton Avenue in Stanton Heights and you will see where we started. In the spring of 2016 we planted 75 hop rhizomes at the base of the wall that would eventually grow and be harvested for use at Roundabout Brewery. The hops made their way up, turning a rusting, urban eyesore into a vertical garden, green and vibrant, and giving local brewers the ability to create a truly local beer. Our extensive backgrounds in gardening and beer sampling, combined with a lot of gusto and advice, spurs us to beautify Pittsburgh and give money back to our communities. We want to plant more seeds and keep scaling upward. New projects include partnering with the Larimer Community Garden and The Pittsburgh Hop Company, a small farm south of Pittsburgh, will also take root in the spring of 2017. In early 2018 HOLP was awarded a grant through the Pennsylvania Liquor Control Board to promote Pennsylvania Beers. This grant on the eve of our 3rd Season will allow HOLP to continue to grow additional communities throughout the Pittsburgh area. We (Pete, Joe, and Phoebe) are perennial by nature. We always come back to the table with more ideas and a strengthened desire to better our city. Our project requires nurturing, time, and knowledge, but our goal is simple: grow hops in Pittsburgh for Pittsburgh beers.